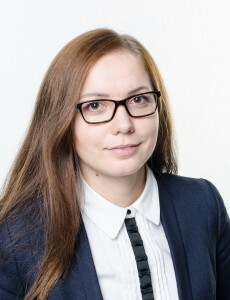 Since January 2017 I am employed as Researcher at the team "Social Analytics and Services" in the Computational Social Science Department. My research is focused on evaluation of alternative metrics for measuring scholarly communication and impact. Main focus is the critical reflection of social media data as a basis for novel indicators to measure scholarly output. The project also aims at better understanding how these indicators are perceived by researchers in social sciences and economics. In 2014, I moved to Germany for pursuing the Master degree in Web Science at the University of Koblenz-Landau. In 2015, I joined the Data Science team at GESIS for working on my Master's thesis under supervision of Prof. Dr. Claudia Wagner and Dr. Fabian Flöck. The title of the thesis is “Measuring gender inequalities of German professions on Wikipedia”; in this work we analyze Wikipedia articles and several other data sources along several dimensions to research various hypotheses regarding the gender bias in the data sources. This work touches upon computational social science in a broad sense and it involves very significant programming aspects. In 2011, I got the Master degree in Information Technologies of Design at Sumy State University, Ukraine. From 2010 till 2013 I worked as software developer at the Research Institute for Nuclear and Power Pump Building - VNIIAEN. In 2010, I got the Bachelor degree in Computer Science with specialization in Engineering and Computer Graphics. My Bachelor degree covers System Analyses, Information Systems Design and other computer science classes besides engineering domain courses. In my spare time I go bicycling along the beautiful banks of the Rhine and Mosel rivers. Wagner, Claudia, Olga Zagovora, Tatiana Sennikova, and Fariba Karimi. 2018. "Collective attention towards scientists and research topics." In WebSci '18 Proceedings of the 10th ACM Conference on Web Science, edited by Hans Akkermans, Kathy Fontaine, Ivar Vermeulen, Geert-Jan Houben, and Matthew S. Weber, 11-15. New York: ACM. doi: http://dx.doi.org/10.1145/3201064.3201097. Zagovora, Olga, Fabian Flöck, and Claudia Wagner. 2017. ""(Weitergeleitet von Journalistin)": The Gendered Presentation of Professions on Wikipedia." In WebSci '17 Proceedings of the 2017 ACM on Web Science Conference, edited by Peter Fox, Deborah L. McGuinness, Lindsay Poirer, Paolo Boldi, and Katharina E. Kinder-Kurlanda, 83-92. New York: ACM. doi: http://dx.doi.org/10.1145/3091478.3091488. Zagovora, Olga. 2018. "Collective attention towards scientists and research topics." The 10th ACM Conference on Web Science, WebSci 2018, 28.05.2018. Wagner, Claudia, Olga Zagovora, Tatiana Sennikova, and Fariba Karimi. 2018. "Collective attention towards scientists and research topics." The 10th ACM Conference on Web Science, WebSci 2018, 28.05.2018. Zagovora, Olga. 2018. "What increases (social) media attention: Research impact, author prominence or title attractiveness?." The 23rd International Conference on Science and Technology Indicators, 11.09.2018. Zagovora, Olga, Fabian Flöck, and Claudia Wagner. 2017. "(Weitergeleitet von Journalistin): The Gendered Presentation of Professions on Wikipedia." The 9th International ACM Web Science Conference 2017, 26.06.2017. doi: http://dx.doi.org/10.1145/3091478.3091488. Zagovora, Olga. 2017. "Do Wikipedia science articles reflect on state-of-the-art research? Study of Wikipedia-metrics." WikiCite Conference 2017, 24.05.2017. doi: http://dx.doi.org/10.5281/zenodo.1037409. https://www.youtube.com/watch?v=JUFuE-AuJhw&list=PLs_yuNHsnUIcoozR7cZeg_YTzRVqEmVz1&index=3. Zagovora, Olga, Tatiana Sennikova, Claudia Wagner, Fabian Flöck, and Markus Strohmaier. 2016. "Cultural Relation Mining on Wikipedia." Wiki Workshop at the International AAAI Conference on Web and Social Media (ICWSM 2016), 17.05.2016. http://olgazagovora.ucoz.net/_ld/0/2_icwsm2016_poste.pdf. Zagovora, Olga. 2018. "Collective Attention towards Scientists: Wikipedia case study." The Road to New Metrics – *metrics Repository Workshop 2018. Zagovora, Olga, Rene Pickhardt, and Korok Sengupta. 2017. "Introduction to Web Science." Universität Koblenz-Landau. WS 2016/2017: 2 SWS. Zagovora, Olga, and Astrid Orth. 2018. " Workshop Im Wikiversum wirken: Impact messen."